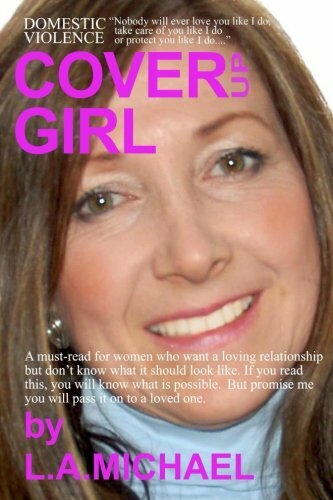 Domestic Violence Cover Up Girl: A must read for women who want a loving relationship but. Story of a successful woman who marries a multi-millionaire who says nobody will ever love her like he will, take care of her like he will or protect her like he will. The book is a series of vignettes during a three year relationship which includes a marriage for less than one year. It is the story of how she escaped her husband attacking her with an axe. It is a story of going to Washington DC for help, a story on a television segment trying to help other women. It is a story to read and pass on to a loved one. L.A.Michael is a native of North Carolina. She earned a Bachelor’s degree in 1976 in Communication Arts & Design from Virginia Commonwealth University and the University of North Carolina at Chapel Hill. She is retired. She enjoys writing, reading, research, painting, photography, gardening, bridge, music, singing, computer art, movie making and Photoshop guru, church, clubs and organizations, community involvement and advocacy that rally for humanity and the environment at risk. She has enjoyed a variety of positions in her career life always maintaining a secondary graphic-art focus as a freelance artist, illustrator and loves children’s book art. Her career spanned from Art Director-Six Flags, Graphic Artist- Medical College of Virginia, Account Executive and Trainer-Fortune- 500 companies, Owner of Design Studio- MichaelArts Inc. She retired to the Lake Norman area in 2001. She has one son and extended family living on both coasts. She is presently working on a fiction novel based on a true story. And she is working on several paintings. Life is Good!